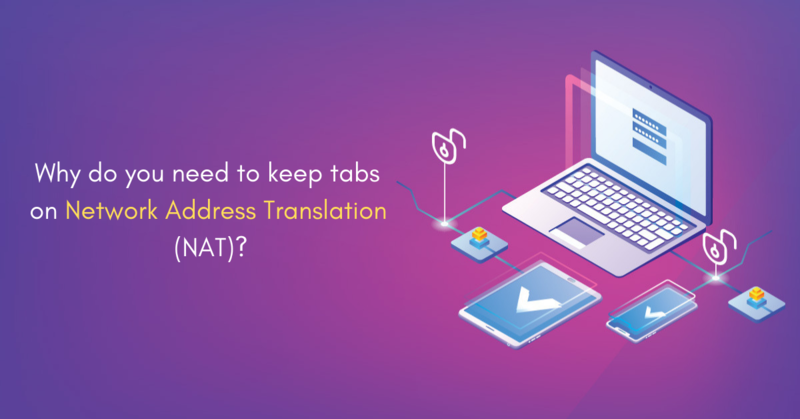 Network Address Translation (NAT) is the gateway which is used to connect instances in your private subnet to the internet or any other AWS service. But prevent vice-versa services. Network Address Translation (NAT) gateway acts as a carrier, it forwards the traffic from instances in private subnet to the internet and then returns its response back to the instance. While forwarding the traffic from private subnet instance to the internet or other AWS service. Network Address Gateway (NAT) gateway change their private subnet IPv4 address with its own NAT device address. NAT keep its address till the end of their communication. As the communication over its switches back to their IPv4 address. NOTE: NAT does not support IPv6 traffic. NAT support 5Gbps bandwidth and automatically scale this up to 45Gbps. If you require more, you can divide your instances into multiple subnets and create a new NAT gateway in each of them. NAT gateway supports TCP, UDP and ICMP protocols only. You cannot assign a security group to the NAT gateway and to your instances in your private subnet to control the traffic of your instances. Once NAT gateway created you cannot assign exactly one Elastic IP to your NAT gateway and you cannot dissociate Elastic IP from NAT gateway. For different elastic IP address, you must create a new NAT gateway. You cannot access NAT gateway through a ClassicLink connection associated with your VPC. How do you monitor a Network Address Translation gateway? To monitor the Network Address Translation (NAT) gateway, you can use CloudWatch. CloudWatch collects information from the NAT gateway and translates into readable metrics, which receives real-time updates. This data can be used to monitor and troubleshooting the NAT gateway. Since you are using CloudWatch to monitor metrics of NAT gateway. For a specific period, you can implement a CloudWatch alarm on your NAT gateway metrics. This trigger based on the values of metrics relative to the given threshold. Why do you need the support of Centilytics? Centilytics have a dedicated insight for network gateway changes in the security section. It keeps a check to monitor it working. For security purpose, it also reminds if your CloudWatch metric is not configured. Since it is important to manage and optimize traffic of the NAT gateway which is done by CloudWatch metrics, Centilytics drain them down even further for better understanding. Hence, the user can view data of all the resources which are tagged as “environment: production”. The user can use the tag value filter only when a tag name has been provided. Previous articleReserved Instance Planner: Why, When and How to use your RIs?